JP married his high school sweetheart, Stephanie, in 2006, and they are the proud parents of two beautiful, intelligent, and precious daughters, Shaelyn and Elise. 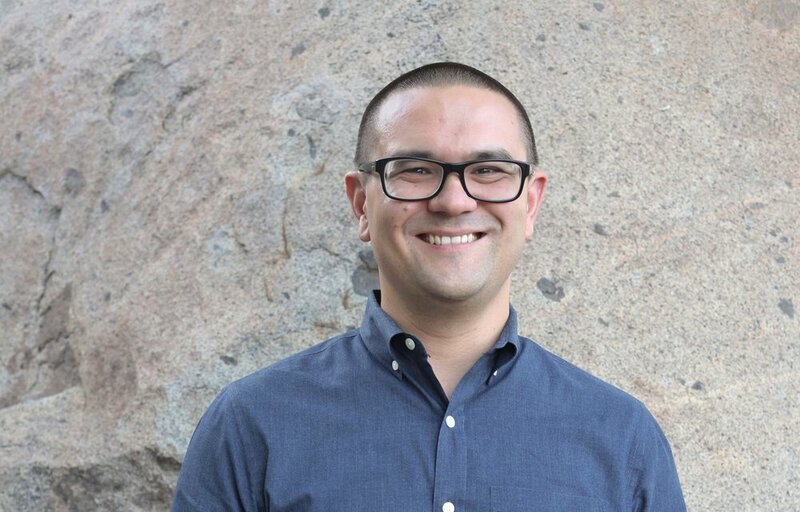 JP graduated from Azusa Pacific University with a degree in Christian Ministries in 2006 and after serving at a church in LA County for 12 years, he became the Senior Pastor at Pomerado Christian Church in 2018. His desire is to decrease in every area of his life so that God can increase (John 3:30) and to build God’s Kingdom by showing people the love, life, and hope found only in a relationship with Jesus Christ. He loves to geocache, follow Bay Area sports, go out to eat, and read (but not always in that order :) ). Dan has been very happily married to his wife, Jill, since 2013 and they moved to San Diego from Chicago where he graduated from Moody Bible Institute with degrees in Youth Ministry and Bible. Dan joined the Pomerado team in 2015 as the Youth Pastor to engage the middle and high schools in Poway and San Diego with a gospel driven ministry. God called him to pursue youth ministry when he was 16 years old and he has been faithfully pursuing students to encounter the gospel and change this world for over 10 years. In his spare time you could probably find him exploring new restaurants with Jill, playing roller hockey, or adventuring around his neighborhood with their Corgi pup, Darryl. Mary and her husband, Reg, have raised four confident and amazing daughters. Now, they enjoy being grandparents to six little sweeties. Mary was a volunteer in Children's Ministry at Pomerado for several years before joining the staff in 2002 as the Director of FaithRock Children’s Ministry. God has given her a passion to help children know what it really means to follow Christ for a lifetime through faith, fun, and friends. Want her to be a happy girl? Take her to the beach! Suzi is married to Jim and has three children, Jared, Luke and Rachel. Suzi is the Children’s Ministry Assistant at Pomerado Christian Church working along side the Children’s Ministry Director in preparing for the Children’s Ministry ongoing activities and special events. Her desire is to see all children come to know Jesus and accept him as their Lord and Savior. Suzi is the youngest of ten children and became an aunt at the age of five. Being surrounded by children is second nature to her and she wouldn’t want it any other way. Beth has been married to Ruben for 40 years and is mom to two adult kids, Angela and Robert. She is the Office Manager, responsible for the business side of the church; paying bills, banking, and communicating, as well as assisting staff and volunteers as they work together serving the Lord. Beth loves ministering to women of all ages, encouraging them in their daily walks. If you can’t find her go to her craft room at home or she is probably in Thousand Oaks or Temecula enjoying her five grandchildren. We would love to get in touch with you. Whether you need prayer, someone to talk to, or have any questions about our church, we would be honored to hear from you!